Circles in all kinds of colors form cool shapes and keep on expanding and contracting, forming a tunnel that seems alive. A very happy video loop. 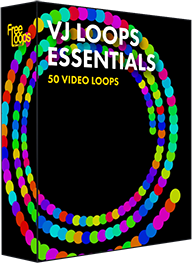 Add style to your set with this intriguing video loop, a good choice when preparing your video sets.